Here is a wonderful looking No. 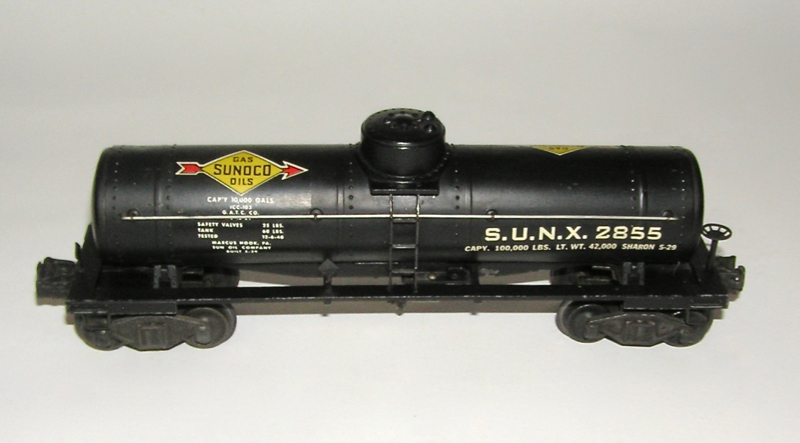 2855 Postwar metal single dome black Sunoco Tank Car on the 2955 frame. 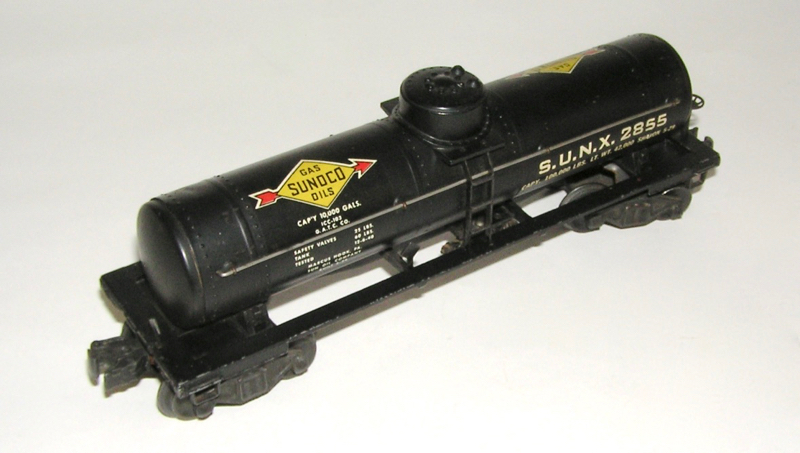 Size is 9" long not including the couplers. This car is in excellent condition - as seen in the pictures. Frame has the typical small bend up in the middle of the frame. Very minor on this one. Decals are in good shape. A couple of small nicks, and one touch-up spot on the roof. One not to be missed. Thanks.